Lithuania should choose between a liquefied natural gas terminal and a gas link to Poland, as both projects would not pay off, Poland's Foreign Minister Radoslaw Sikorski has said. "We think building the line and the liquefied natural gas terminal in Lithuania would not be worthwhile. Both projects will not pay off. It is up to Lithuanians to decide what they choose," Sikorski said in an interview published in the March edition of the IQ magazine. The gas link between Lithuania and Poland was on the agenda of the February meetings between the prime ministers and ministers of the two neighboring countries. Poland's energy company ILF Consulting Engineers Polska is currently carrying out a feasibility study of the gas link between Poland and Lithuania, which should be available in the first half of this year. The results of the study will serve as grounds for further actions in the project, which should cost about 471 million euros, according to preliminary calculations. In Sikorski's words, the project could only be implemented with support from the European Union (EU). 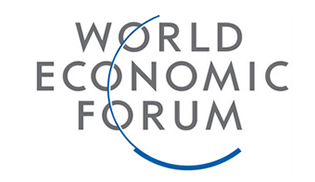 "It is a very costly project, it costs nearly half a billion euros. Without EU support, it makes no economic sense," the Polish minister said. Last year, both companies involved in the project – Poland's natural gas transfer system operator Gaz-Systems and Lietuvos Dujos (Lithuanian Gas) – analyzed the project's business environment. According to preliminary results, the gas pipeline between Poland and Lithuania would stretch for 562 km and would carry up to 2.3 billion cubic meters of gas per year, with plans to extend the capacity to 4.5 billion cubic meters in the future. Lithuania expects to finish the LNG terminal in its Klaipėda port by the end of 2014. Sikorski: improve relations with Lithuania if they "practical steps"
Poland expects Lithuania "practical steps" and if they follow, that bilateral relations will improve, said Polish Foreign Minister Radoslaw Sikorski. "It began a thaw in relations between Poland and Lithuania? Answer: we are waiting for practical steps, if they follow - the relationship will improve. However, the situation is changing," - wrote the Minister of the social network Twitter, answering questions. 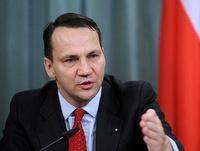 Sikorski also stressed the role of Electoral Action of Poles in Lithuania in the ruling coalition of the country. "IAPL in the ruling coalition. It would be best if the problems of the Polish minority in Lithuania were solved within the government," - he said. In the Lithuanian-Polish relations in the past few years, tensions prevailed, primarily because of the different attitudes to the situation c national minorities.